Each program of study offered through the ATU Career Center (ATCC) is a two-year program. The first year of the program requires two class periods offered during the morning, while the second year of the program requires three class periods offered in the afternoon. All students completing courses offered at ATCC receive concurrent credit through ATU - Ozark Campus. The Cosmetology program is excluded from concurrent credit through ATU. Welding Technology is designed to provide skills in the areas of cutting, shaping, fastening and joining of metal to industry standards. 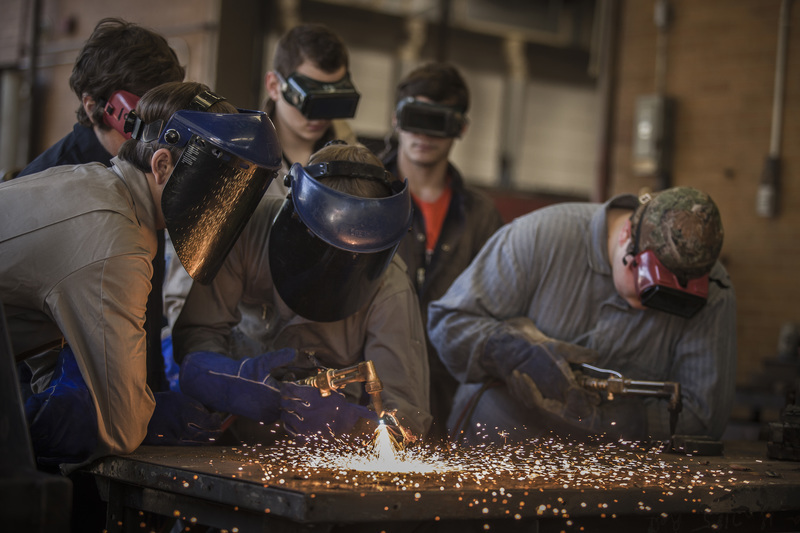 As its curriculum, the program uses NCCER to ensure students meet industry standards. The program provides the opportunity to reach entry-level skills with instruction provided by lecture, demonstration, guided practice and the use of community service projects to provide expertise in the field. This program covers basic electrical and mechanical components of mechatronics systems with instrument controls and embedded software designs, building, and maintaining of equipment that combines electronics, mechanics, pneumatics, hydraulics, and computer control systems. AST is a multi-disciplinary study to develop specialized and highly trained technicians dealing with the integration of mechanical devices, actuators, sensors, electronics, intelligent controllers, and computers. Technicians set up and maintain robotic equipment, automated manufacturing equipment, programmable logic controllers, and any hybrid production or test equipment. These specialized technicians will meet a current and future need for local, area-wide, and global needs. These technicians need a broad understanding of how mechanical and electrical energy is produced, controlled and utilized. 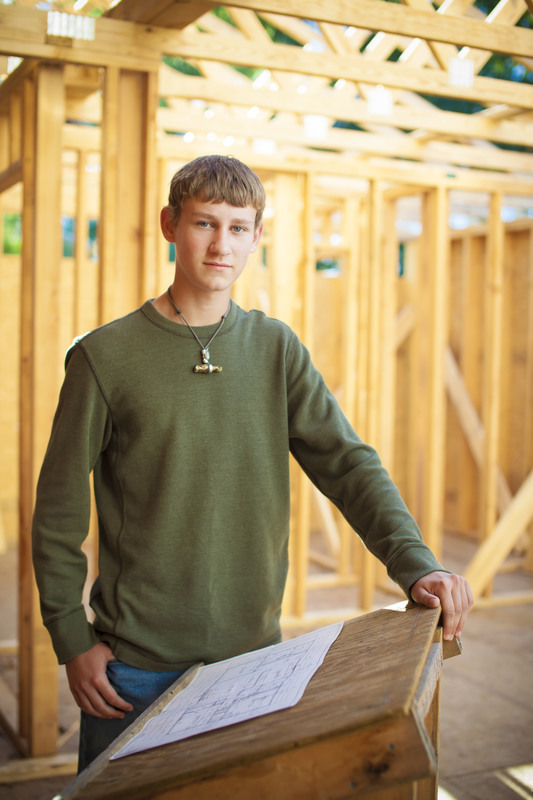 Construction Technology teaches skills in residential and industrial construction with students learning to measure, cutting and joining equipment, as well as basic electrical and plumbing. Together, students build a three-bedroom house that is sold to the highest bidder. Cosmetology helps students develop a variety of skills, such as hair-cutting techniques, styling, cosmetics, salon management and more. Students have the opportunity to begin earning the 1,500 clock hours of training required to be eligible to take the Arkansas State Board Of Cosmetology licensure examination. 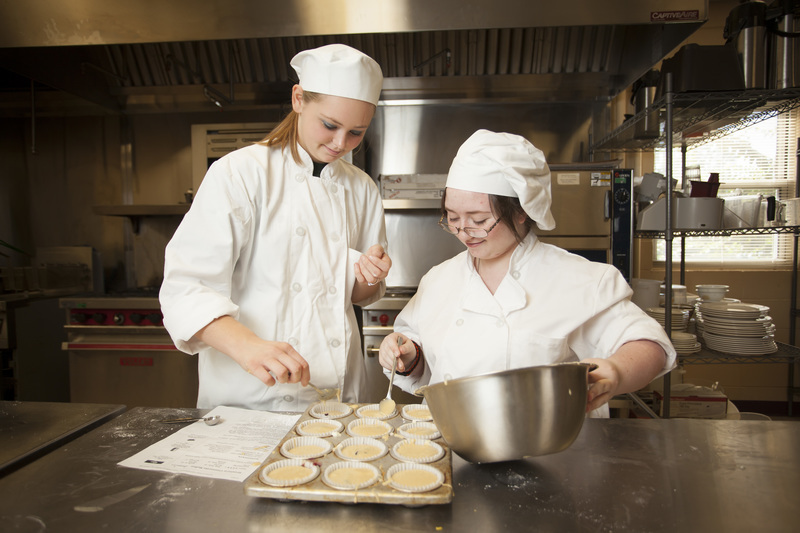 Culinary Arts utilizes the ProStart program-implemented through the National Restaurant Association Educational Foundation and the Arkansas Hospitality Association - to introduce students to careers in the hospitality industry with the goal of preparing them for management. Lecture and textbook learning are matched with an abundance of hands-on training in the commercial kitchen lab. This program prepares students to perform the duties within all aspects of the criminal justice system. Within their first year, students learn case laws, as well as laws pertaining to search and seizure, arresting aspects, court procedure, and self-defense. The second year focuses on investigations and covers topics ranging from interviewing suspects to working the full crime scene. HST/SIT prepares students for a medical career emphasizing medical procedures such as CPR, patient assessment, and health care technology. Areas of medicine taught include dentistry, nursing assisting, medical office assisting, and laboratory procedures. Students will have the opportunity to shadow a variety of medical professionals and can choose capstone courses to suit their career plans such as Certified Nursing Assistant (CNA), Emergency Medical Technician (EMT), Pharmacy Tech and Phlebotomy. 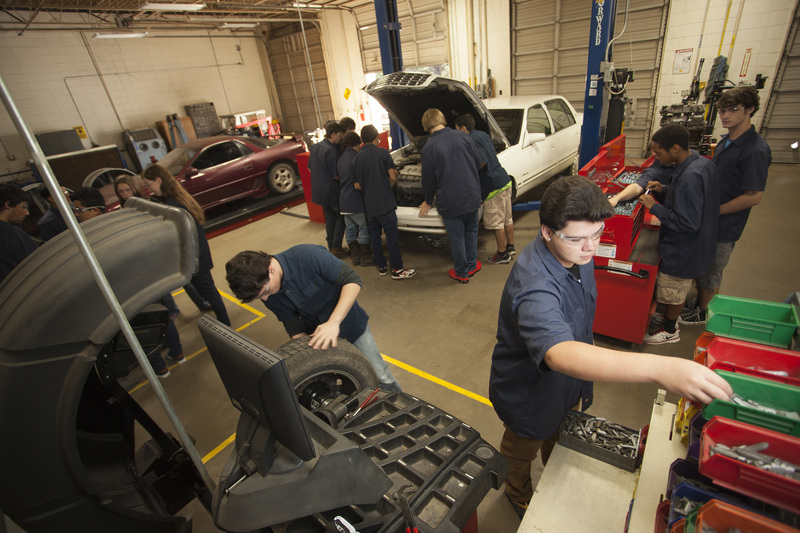 Automotive Service Technology provides industry-specific training to repair today’s high technology vehicles, preparing students for employment in dealerships, specialty shops, and service centers. The laboratory is well equipped and uses the latest computerized diagnostic equipment, tools, and procedures, and classes are certified by the National Automotive Technician Educational Foundation. The CET/CIS program is designed to cover a wide array of topics, some in great detail and others for exposing students to all aspects of computer science. Students will be prepared to become a computer technician with the goal of obtaining the CompTIA Strata certification. Students learn to build, troubleshoot and repair computers, as well as set up SOHO networks, make cables and setup wireless networks. Students will also write HTML scripts and program Visual Basic object-oriented programming languages. Using Ionic (Advanced HTML5 Hybrid Mobile Application Framework) and various other web technologies, students will build native mobile applications for iOS and Android platforms that can also be run in a webs browser. Students will also learn to create web pages using HTML, XHTML, and CSS. Upon completion, students can enter the workforce or pursue further education. For more detailed information on courses offered at RHS, please check the 2017-18 Academic Handbook in the documents section of this webpage. The information on ATCC Pathways can be found on pages 10-12. The information on ATCC can be found on pages 56-60.